There’s tons of great games in the works but I have to be honest: the one I’m most looking forward to of my entire life is the first one with my own name on the cover. It’s available as pre-order and instant PDF from Evil Hat Productions, but the print copies are expected around October, and I can hardly wait. 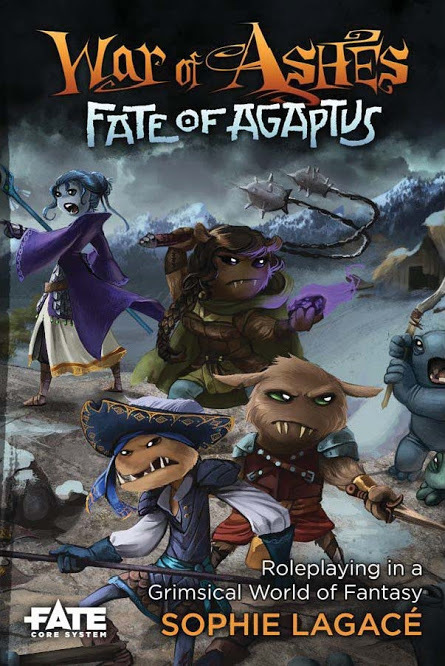 Posted on August 1, 2015 August 4, 2015 by mechanteanemonePosted in rpgsTagged Evil Hat Productions, RPG a Day, rpgs, WarOfAshes. Yay, so excited for this!